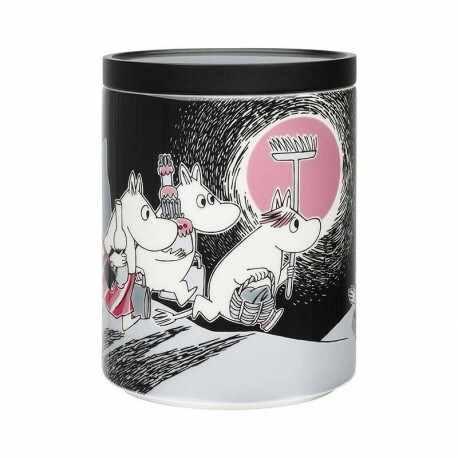 The Adventure Move jar by Arabia features a famous motive from Moomintroll and the comet. Arabia artist Tove Slotte has designed this delightful Moomin object keeping with the original drawings. Perfect for hiding away goodies and treasures.